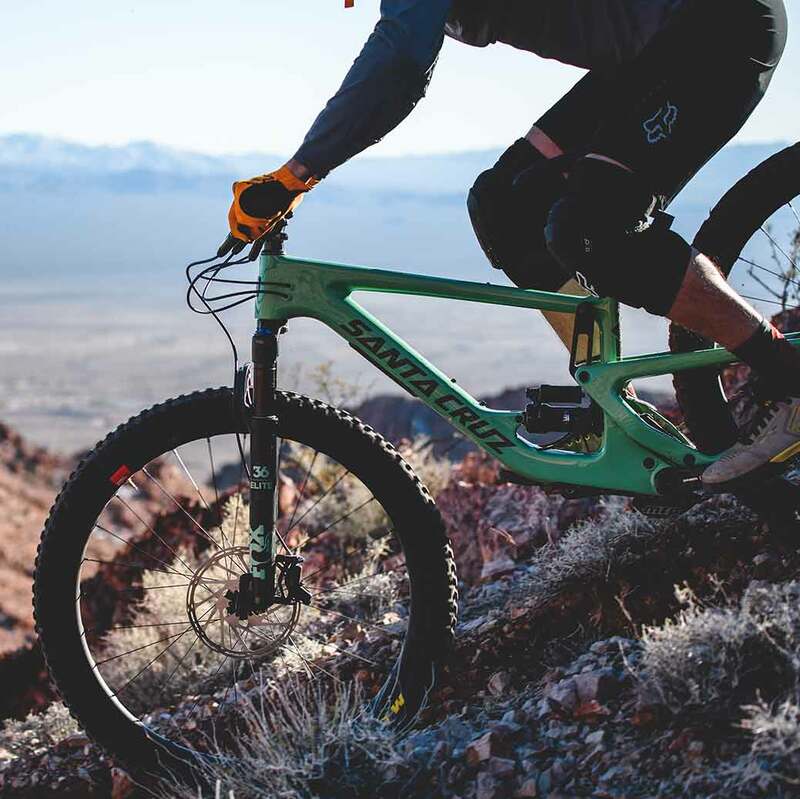 Santa Cruz&apos;s all new Megatower takes everything we love about the latest generation of long travel 29 inch enduro bikes and distills the formula to perfection. the best climbing long travel machine that Santa Cruz has ever built. Let go of your preconceptions, because there is precious little that the Megatower can&apos;t accomplish with unbelievable ease. varying a touch between sizes but averaging just about 76.5 degrees, and the outstanding efficiency of the lower link driven VPP suspension system. This blend results in a machine that requires very little body English to keep on a line when ascending, allowing the rider to settle in and focus on the task at hand. And it nearly goes without saying that the Megatower comes into its own when pointed down. The stability afforded by the lengthy wheelbase, 65 degree head tube angle, short offset fork, and 160mm of travel conspire to give the rider a perfectly honed tool for tackling the fastest, roughest, most frightening trails this planet has to offer. For those seeking a steed that knows no speed limit and fears no terrain, your search ends here. For bike park laps, enduro races, long days in the saddle, and laughing at your previous limits, the Megatower has very few equals.